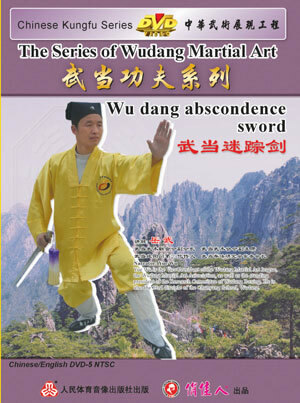 This sword method is found by Lu Dong-bin, the western faction of Dao, in Wudang south rock palace. This sword action and pure yang fist is come from the same source and live in the same element. when practice, take "wind blow water lily with cleave and sting" as the main purport, the movement should be harmonize, agility extended and pliancy, the action is related to each other tightly like the flying cloud and flowing water, connect unceasingly. Every action can be blended free from vulgarity. This action acquire connotation and realize by yourself, revolve left and turn right, draw a circle, lead the movement by spirit, combine the movement and spirit, and the body and sword, to make a feeling of easy and comfortable. People from different age, different character or illness can practice this action to get stronger and preserve health. Do not stop practicing you will see the good result. Because of the principle of "do not teach people the feat and tell people the element", this action were come down only in Wudang faction in thousands of years, and now Liu Li-hang master is the only one who know this element. So it is really a treasure.